Do you have a Healthcare FSA? Healthcare Flexible Spending Accounts are an employee benefit that allows you to set aside a certain amount to use pre-tax for healthcare costs. Contributing to your FSA is a cost-effective way to reduce your taxable income and save money on health care essentials. But there is a “use it or lose it” rule: Any dollars left in FSAs at the end of the plan year are forfeited. To help with this problem, some employers allow a grace period after the plan year to use up the money. Some FSA plans are calendar year, but they can end at any time of year. If you do have a calendar-year plan, many companies offer a 2½-month extension, to deplete accumulated savings in your Flexible Spending Account. If your plan is for the calendar year, your extension goes until March 15. Ask the human-resources department where you work about your deadline. About 20 percent of people who don’t use up all their FSA money forfeit $500 or more, according to the Employers Council on Flexible Compensation. About 40 percent of participants forfeit at least $1. Don’t wave goodbye to your cash – Buy supplies! When the end of the year rolls around and you have an excess of funds in your FSA account, you can conveniently stock up on medical products that don’t expire and may be useful to you in the future such as bandages, breastfeeding supplies and qualifying skin care products. But how do I know what I can buy? We are here to help! The FSA Store offers a dedicated learning center where you can find the answers to commonly asked questions. They also have a directory of FSA eligible service providers right on their site. The directory contains lists of common medical service providers as well as some of the more obscure professions such as acupuncturists and eligible Lasik service providers. 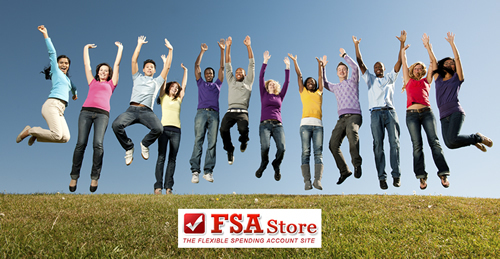 The FSA Store is “The Flexible Spending Account Site”. Living up to its name, it contains products, services, directories, commonly asked questions, and even an updated list of what has been added or removed from FSA eligibility for the current year right on the site. If you’re in a hurry to check it out before reading the rest of this article, click here. The FSA Store has the largest selection of FSA products available online, and everything in the FSA Store is eligible. Not only that, but all their products are discounted. The discount ranges between a few dollars to a few dozen percent, depending on the product. All products can be purchased with FSA accounts, and all FSA debit cards are accepted, along with major credit cards. At The FSA Store, you’ll notice a live chat box on the bottom corner of every page. Just start typing your question and a real person will happily help you with all your questions. Keep in mind while shopping that all orders over $50 get free shipping! That’s worth a lot with today’s expensive shipping prices. And with that added bonus to all the goodness of the FSA Store, there’s no excuse to ever let your FSA dollars disappear! What happens when you find yourself in need of the services of a lawyer? It can happen as suddenly as a traffic accident or tax audit, or as everyday and normal as buying a house or preparing a will. Can you pay for these services as you need them? Would you rather keep your life savings for yourself and your family? These are the questions that inspired the creation of LegalShield more than 40 years ago, when its founder had a terrible car accident. Although the other party was determined to be at fault for the accident, they filed suit against him. The costs of legal defense depleted his life savings. This got him thinking, that although we have insurance for everything else, we don’t have insurance for our legal needs. Inspired, he formed LegalShield (then known as The Sportsman’s Motor Club), one of the first companies in the United States organized solely to design, underwrite and market legal expense plans to consumers. LegalShield now provides legal services to approximately 1.4 million families across the US and Canada. For one low monthly fee these legal plans, called memberships, offer a variety of legal services in a manner similar to medical reimbursement plans or HMOs. Members have direct, toll-free access to their provider law firm, rather than having to comb through the yellow pages for a referral. Provider firms are carefully selected and the quality of service is closely monitored to maintain the highest of standards. 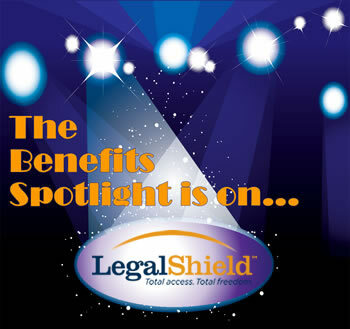 LegalShield is now available as a Voluntary Benefit! LegalShield offers our legal plans to families, small business owners, and to employees of companies as a voluntary benefit through payroll deduction added as an enhancement to compensation benefits packages. Benefits Connection offers LegalShield plans that give you access to a wide variety of legal services from a carefully-selected law firm for a low monthly rate. In addition, you can get add-ons to your plan – Identity Theft and Safeguard for Minors. Who is included in the plan? In addition, LegalShield offers a superior Identity Theft product, which in combination with our legal plan, creates a wall of security that is unsurpassed in the industry to fight the growing issue of identity theft. Benefits Connection also provides you with a NO-COST Identity Theft Awareness Training. And because children under the age of 18 have a much higher risk of identity theft than is commonly realized, Safeguard for Minors was created. For only $1 more per month for the family, up to four minor children can be enrolled. Thieves target minors because the child’s information may be used for years without discovery – until the minor is old enough to establish credit. With Safeguard for Minors, dependent children up to 18 are covered for consultation and restoration. Add LegalShield to your Voluntary Benefits! LegalShield’s nationwide premier network of 2,500 high-quality legal firms provides you with affordable access to the legal system.